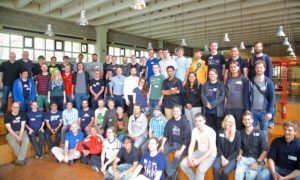 Sunday September 1 concluded the last day of the very first ownCloud Contributor Conference and it was our biggest, best event ever. With more than 100 participants from 20 countries, we attracted twice as many people compared to the hackathon last year. We introduced a great conference day with a program consisting of more than 40 sessions. The talks were recorded and are being released on YouTube over the coming days. Everybody we spoke to loved the event and we want to share with you a taste of how it was! Yu-de from Taiwan has been working on the music app, to allow it plugin-less playback of mp3 and FLAC files. He is quite new to ownCloud and had been working in isolation. His improvements are now merged into the Music app and he has started working on a user registration app, which allows users to register an ownCloud account without administrator involvement “because a lot of people have asked for it”. The team working on the contacts app rewrote the import dialog and cleaned up the issue list of the app, fixing small bugs or closing the invalid ones. This will make work on the app easier in the coming months. There has been loads more, shared in the standup at the end of each day. You will see the activity in the repositories! The conference program on Saturday featured two keynote speakers: Dan Callahan from Mozilla and Frank Karlitschek, founder of ownCloud. In his keynote, Dan talked about Defending Free Society and protecting your data. He argues that while we can’t prevent persistent hackers, companies and governments from accessing and indexing our private data, we can make it a lot harder by decentralizing it. But people don’t put their data at Google and Dropbox out of ignorance, they do it because they derive real value from those services. A replacement can’t just be equally good + privacy. It has to be better in some way to get people to put in the effort to switch. Mozilla and ownCloud share a common goal here: both are not just trying to keep up, but advance the state of technology in our respective areas. Watch the keynote by Dan below and subscribe to our youtube channel to be notified when we upload more videos! Frank kicked off in the afternoon. He began by congratulating the ownCloud community for the successful release of ownCloud 7 and the conference we were having. A recent article about statistics showed the ownCloud community is doing great with more than 100 attendees from 4 continents and a great program, the conference was amazing. Next up was an announcement: the User Data Manifesto 2.0 Beta has been made available for feedback! The User Data Manifesto is about defining basic rights for people to control their own data in the internet age. The first Manifesto was released by Frank 2 years ago and the update is meant to simplify the language and make its point stronger and clearer. ownCloud is a tool that helps users to exercise these rights and our goal is to bring that to as many people as possible. So the next subject naturally was: how do we grow the ownCloud user base 10-fold? 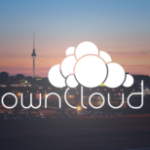 How do we bring ownCloud 9 to 20 million users? Frank discussed some important points: ease of installation, finding more providers and some interesting ideas like running ownCloud on NAS and Router devices as well as dedicated ownCloud Boxes. But also running a full ownCloud server on a desktop or even Android phone device would be a potential way to bring ownCloud and its abilities to more people. Frank challenged the audience: who gets an ownCloud server up and running on Android first? Last but not least, he discussed our App ecosystem. 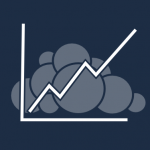 Growing that is another important step towards more ownCloud users. There are already more than 200 third party apps and many important use cases are covered. We can and should support app developers with better, stable API’s, great documentation and new ways of finding, installing and upgrading apps. The lightning talks allowed the contributors to share the state of their applications and the work they have been doing as well as to call on people to help them out or invite them to the workshops. We had 30 lightning talks, which you can soon watch on our YouTube channel. The talks offered a wide variety of subjects: ownCloud app status updates, informational talks about a few external projects doing work related to ownCloud; users of ownCloud; and Google Summer of Code interns. The talks often contained a call for action, either for a workshop to join later or, like in the lightning talk about our mentoring programs, to add ideas to work on for students to our student ideas wiki page. You can watch the talks in this YouTube playlist and be sure to subscribe to get notified when the next videos go online. 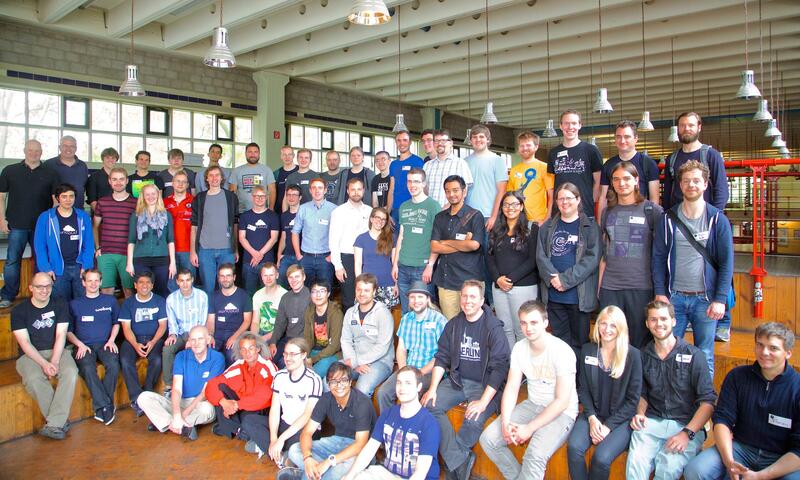 Find pictures of the ownCloud Contributor Conference on the Google Plus event page, Flickr and twitter. We would like to thank TU Berlin, our Media Partners, ownCloud Inc. and everybody else involved for their hard work. 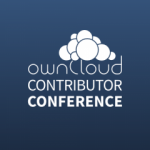 And also a round of applause for the contributors and visitors to the event – thank you for the awesome work you do for and on ownCloud and for being part of our great community! We’re already planning for next year – to make the event bigger, better and more awesome!